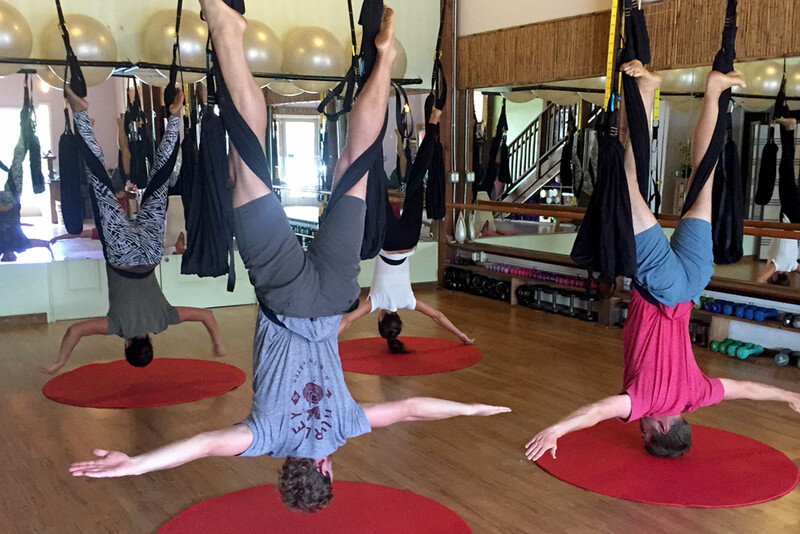 Aerial Yoga Play allows a combination of benefits similar to aerial yoga, pilates, suspended resistance training, acrobatics, and dance all rolled into one for an amazing suspended fitness experience. 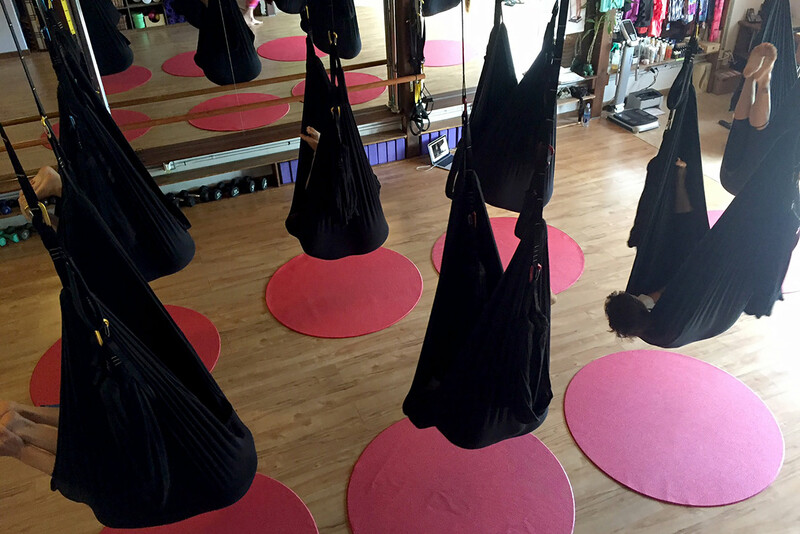 It allows for all the benefits of traditional yoga- flexibility, strength and balance – with the unique conditioning of aerial dance and acrobatics for an exhilarating new way of approaching yoga. 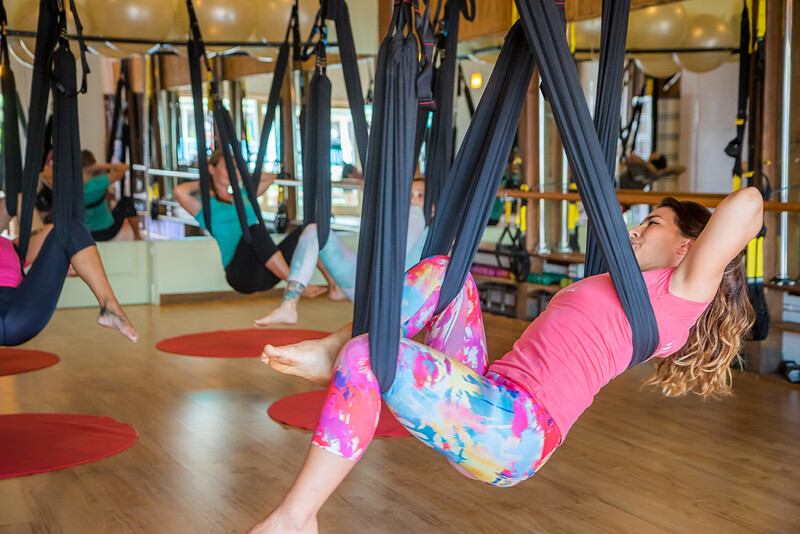 Sculpt your body in the air, using our special yoga swings, as you tone muscles, find balance, and increase flexibility. All levels, no experience necessary. Please wear a t-shirt to class. No tank tops or bare skin allowed. (E) Not sure where to start? More information here!